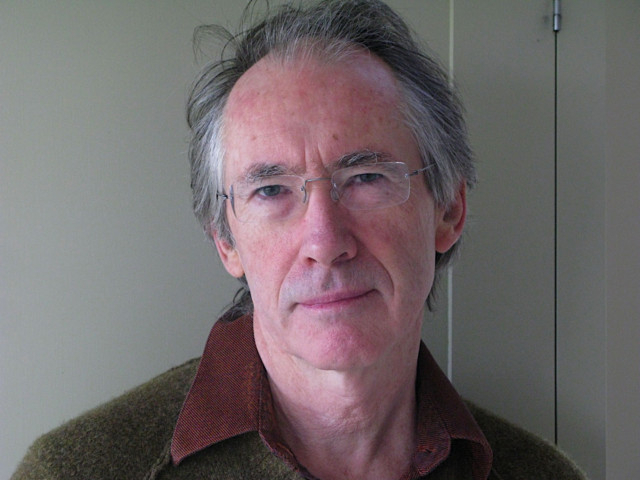 Ian McEwan was in Iowa in late 1977, teaching on a writers’ workshop, when he got a call out of the blue. An American editor was on the line. She was a fan of his short stories, she said. There were rumours he had just completed his first novel. Would he care to send it? The rest is, if not quite history, then at least publishing legend. Just 138 pages long and narrated in the deceptively affectless monotone of a 14-year-old boy called Jack, “The Cement Garden” tells the story of how he and his three siblings retreat into their own world after the death of their parents. The garden in question may have been concreted over by their father, but it is when their mother dies — and her body requires disposal — that the spare cement comes into its own. Freudians will be able to guess the rest. The book became a cult hit on both sides of the Atlantic, and earned McEwan, as well as a new career as a novelist, an inevitable soubriquet: Ian McAbre. One American critic was wittier: McEwan’s fiction, he wrote, paraphrasing Hobbes, was “nasty, British and short”. Four decades on, coiled into the corner of a sofa in the formidably tidy lounge of his house in Bloomsbury, London, McEwan could hardly seem less macabre. The sun streams in through the windows as he motions me to sit down. I try to put my finger on who he reminds me of: a studiously unflashy neurologist, perhaps, like the protagonist of his 2005 novel, “Saturday”. “The Cement Garden” being staged by the young company Fallout Theatre, in a new adaptation that preserves all of the menace — and a good deal of the physical horror — of the original. The setting will be appropriately crepuscular, too: former railway tunnels beneath Waterloo station. It is not the first time the book has made its presence felt off the page: in 1993, it was made into a film by writer/director Andrew Birkin, starring Charlotte Gainsbourg as a dangerously playful Julie — the first of several screen versions that have made McEwan into one of the most adapted writers alive. McEwan also once had ambitions in the theatre. His friendships with Eyre and Harold Pinter (the latter adapted “The Comfort of Strangers”)are well known, but I have read that he once wrote a play of his own. What became of it? He winces. “Oh, no, I was an undergraduate and I’d started writing all kinds of things. It had a character who told everyone else they were in a play.” He covers his eyes. “Truly terrible.” So would he be tempted again? “Well, every now and then I think I will write a play. I’d love to write Richard something. But I haven’t quite got the ...” The sentence lingers unfinished. McEwan cracked a rib recently on a trip to Bavaria, indulging his longstanding love of hiking. That aside, he seems in energetic form and, twenty-odd books in, is as quietly productive as ever. The first draft of a new novel is nearing completion: a legal procedural based on the real-life story of a teenage Jehovah’s Witness who refused a blood transfusion, continuing his longstanding fascination with the boundaries between science and ethics. “The Cement Garden” is at Waterloo Vaults, London SE1, until March 8.